Those who struggle with visits to the dentist due to high anxiety or stress have found that sedation dentistry is a great solution for them. This approach allows patients to be much more comfortable and relaxed during their time in the dentist chair while allowing the dentist to engage in a more effective treatment. Sedatives are delivered to the patient through a variety of ways, including by mouth, under the tongue, inhaled through the nose or intravenously. Most patients take the medication orally. 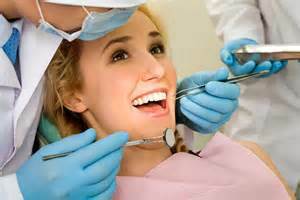 Patients who have avoided the dentist out of fear find that sedation dentistry makes a big difference. Not only are they more relaxed, but the sedation actually works to erase the visit from their memory as well. This leaves them with no bad memories that would prevent them from going back again. Retrograde Amnesia – The sedatives used during treatment do have an amnesic effect, which results in many patients having little to no memory of the dental treatment. This is actually a welcomed side effect by many patients who would rather not have unpleasant memories of the treatment. Dry Mouth – Sedation medications can lead to a decrease in salivary flow. A patient may experience a dry mouth feeling until the medication wears off. The plus side is, a dry environment can actually help the dentist. Hiccups – A small percentage of patients who have elected to use sedation dentistry treatment have reported having the hiccups for several minutes after taking the medication. Ineffectiveness – For some reason, smokers or people who are taking other drugs find that the sedatives do not work as well as they should. They do not seem to provide the expected anti-anxiety effects. Other Side Effects – Some patients have reported light-headedness, headaches, dizziness, visual disturbances, nausea or a hangover/jet lag feeling. These side effects tend to only last for a few minutes and rarely require medical attention. There other important risks to consider when using sedation dentistry. For instance, a patient with significant cardiac, pulmonary, hepatic, renal or CNS disease may have increased risk of developing complications when sedated. Obesity and sleep apnea can also affect the treatment. Elderly patients, pregnant patients and those who abuse drugs or alcohol may experience something outside of the norm when using sedatives at the dentist. Just as important as the medications used is the dentist who is administering the treatment. If you are considering sedation dentistry, you will want to be sure you choose a dentist who is experienced and understands it well. Dr. Rouhani at Smile Concepts has years of practice working with patients who prefer sedation dentistry. To find out more, give Smile Concepts a call at 480-951-2800.